…and I am a junk drawer failure. It’s okay, folks. I’ve come to terms with it. We all know the first step to recovery is admitting you have a problem. And I have a big one. 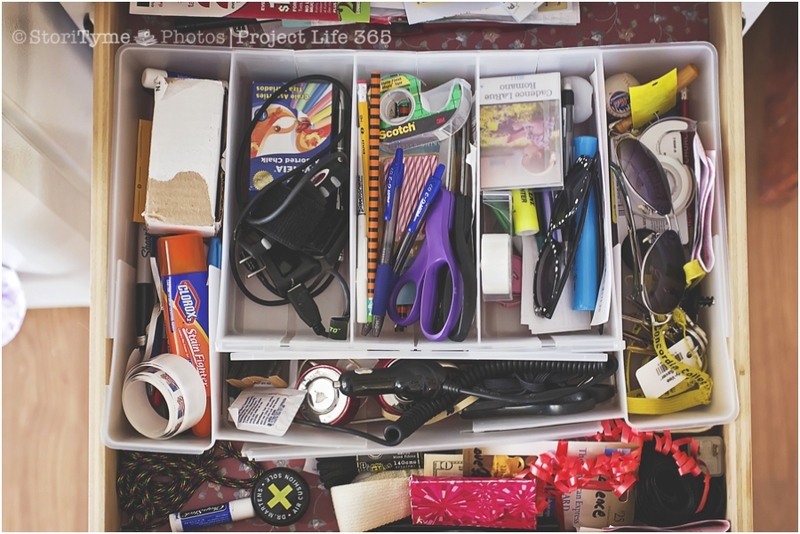 A disorganized drawer filled with a random assortment of useful items. And that’s the biggest problem here. As much as it irritates me to have to sift through the crap to find a tube of chapstick or a breakfast cereal coupon, I can honestly say that every item in the drawer at the moment is not junk. No lies people. I could make you a list of stuff in the drawer right now and not have to throw out one piece of it. Now, if we could just keep it organized…but that’s a goal for another day.